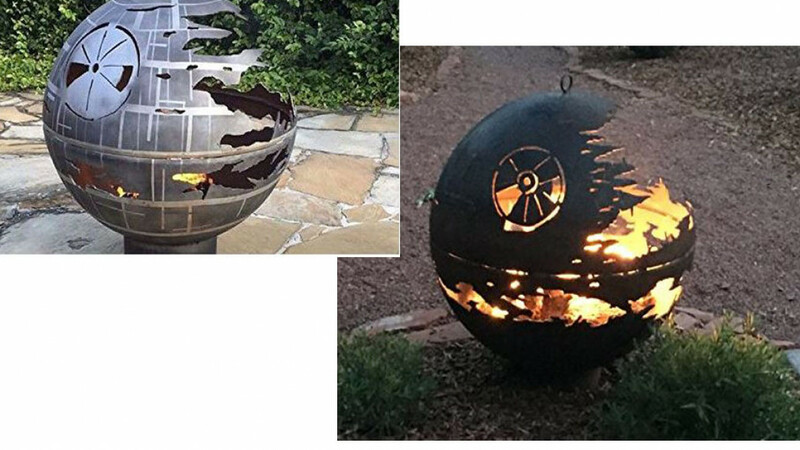 Fire pits are an awesome addition to any back yard and if you are a Star Wars fan you will love this one. It is custom made to order and available as either a 30 inch diameter or a 37.5 inch diameter. The fire pit is made of steel and hand cut. This is not just a fire pit but also a stunning work of art that will look great even when you don't have a fire burning. Perfect for anyone who loves to sit outside by a roaring fire on cool nights or create ambience for summer outdoor events.